Option to Pay in USA. This property is now for lease option or rent for $1550 per month with $2000 security and cleaning deposit (3550 to move in). 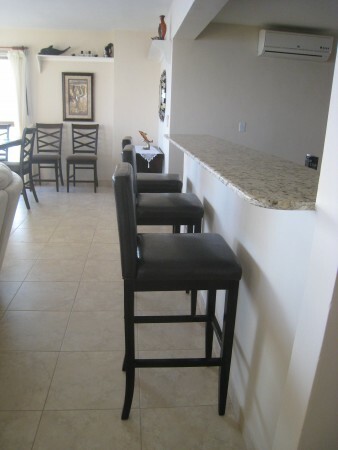 Completely Furnished Luxury Beachfront, 4 bedroom 3.5 bathrooms home. Attention to detail providing all needs, including surround sound TV. Luxurious, private, security conscious condo. Spectacular ocean or mountain views from every window. Cool mountain and ocean breezes from this amazing direct beach front home. Ocean in the front, Mountains and lakes at the back. 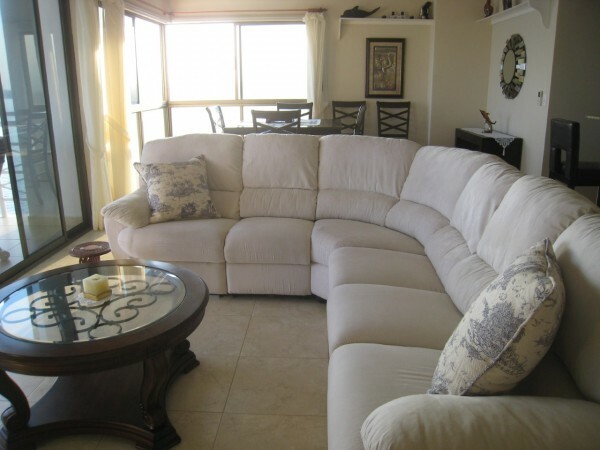 Soft breezes throughout the year allow fresh air living or Air Conditioning...your choice. Bring your clothes, personal items and groceries... everything else is amply provided for. (Including built-in safe.) All bed and bath linens, pots pans, you name it, this home has it... absolutely everything. Washer and drier inside unit. 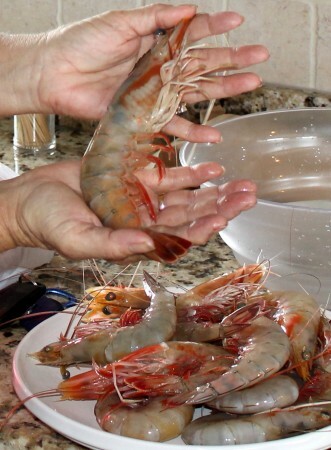 Serene walks along the beach to the river mouth in one direction or a stroll in the other direction to buy fresh giant Prawns and fish straight off a fisherman's boat.Popular surfing spot near the rivermouth. The apartments are so grand that there are only two on each floor of this 15 story building. 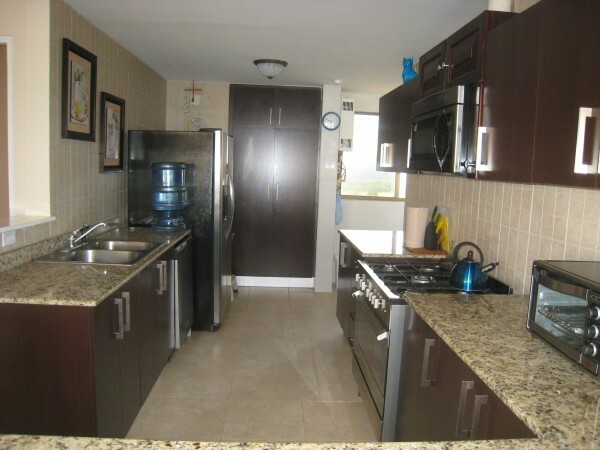 Spacious, (almost 2000 sq ft), Open floor plan, 4 bedroom. 3.5 baths. Fourth bedroom temporarily converted into office, complete with desk and office chair. Cable TV and Wi-Fi internet service hooked up. . 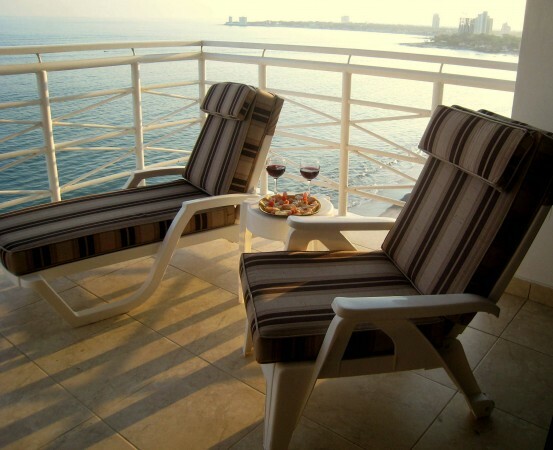 Enjoy meals, coffee or drinks watching the sunrise and sunsets from the large balcony; perfect for entertaining with cool ocean breezes. Master bedroom has king size bed with Memory Foam mattress topper and the latest bamboo temperature balancing technology mattress cover. Second bedroom has a queen bed with the same cooling mattress cover. Third bedroom has a futon couch convertible to a full bed and has mostly used as a second TV lounge/den. Ceiling fans and air conditioning throughout. The kitchen is fully equipped, a cook's delight with gas stove, dishwasher, large upright two door fridge/freezer unit with water and ice dispenser on the door. Assortment of smaller appliances including microwave, juicers, toaster, toaster oven, mixer, coffee percolator, etc. Laundry area includes washer, dryer and utility sink/basin. Additional extra assigned storage room on 1st floor. Reserved space in covered parking garage, plus additional off-street parking . Swimming pool, grounds include South Pacific style thatched shelters beside the pool for BBQ's or board/card games, or just relax in lounge chairs overlooking the beach. 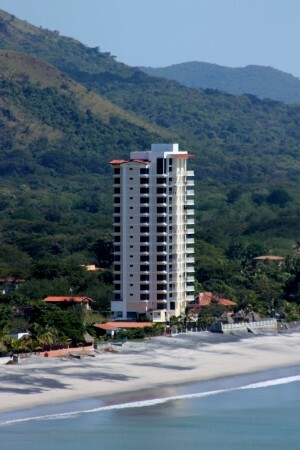 Peaceful Playa Malibu, in Nueva Gorgona, is a surfers paradise and d is Panama's best kept secret. Strategically located, Panama City an easy drive, only 45 minutes away on the wide, well maintained, paved PanAmerican highway. A peaceful stroll along the sandy beach to the mouth of the Chame River, a popular surfing spot. Or amber along the beach in the other direction to a fishing village where you can buy fresh fish and jumbo prawns right off the fishermen's boats. Nueva Gorgona has several restaurants and bars. Nearby Coronado offers supermarkets, pharmacies, restaurants, hardware stores, churches and modern medical and dental service.